This Chinese New Year seems to be a crazier rush as it is this early in the year. Sometimes, we can just get too caught up with buying, giving and eating that we forget that the festival is really about togetherness and family moments. When omy.sg invited me for a CNY dinner with a group of underprivileged seniors, it seems like a great opportunity to give back to society. The dinner was at a beautiful scenic McDonald’s (perhaps the most scenic fast food restaurant in Singapore) located within Ridout Garden Queensway. 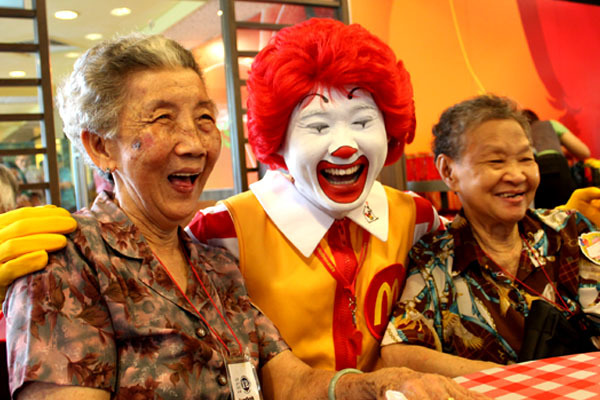 Ronald McDonald himself made a surprise appearance (speaking Mandarin!) and many of the elders were extremely delighted like their own grandchildren. You know how when we do volunteer work, we feel we are helping others – you know the ‘do a little something to feel good’? Is this really the case? This time I felt that I was learning a lot from the seniors instead, and indeed gained a lot from them. The truth was when the senior group came down from the bus, I was not exactly sure how to approach them. How would they react? How should I react? And all of them were speaking in a dialect, then I have unfortunately left behind. You know what – I just pulled out a chair and sat down with them. I decided that language and unfamilarity should not be my barrier. And then I spent some time speaking to a happy group of grannies. 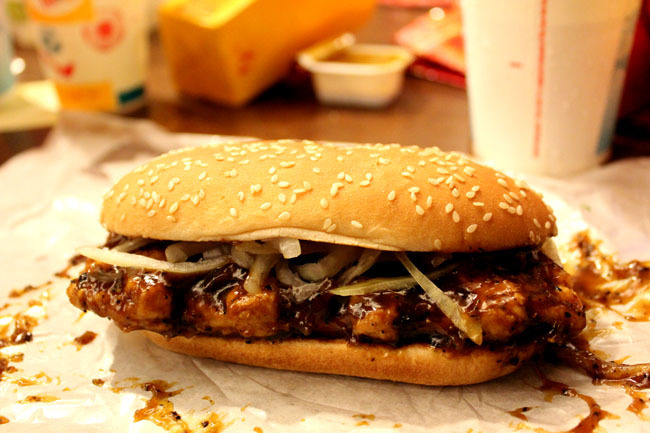 Auntie Chen was an 80-year old grandmother but never had fast food in her life ever. 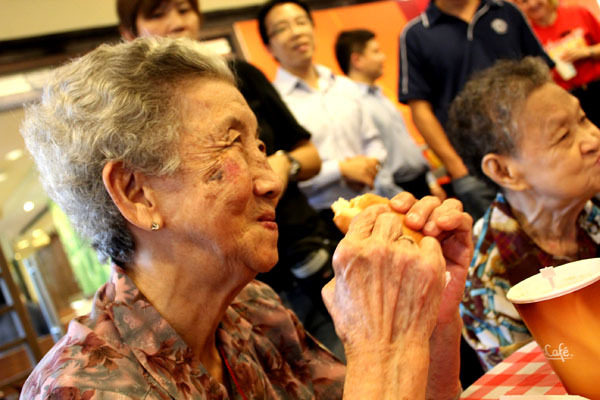 She laughed that her grandchildren would cry burgers every other day, and yet she never had the chance to try one. And there I was thinking, we could really have it any time we wanted. 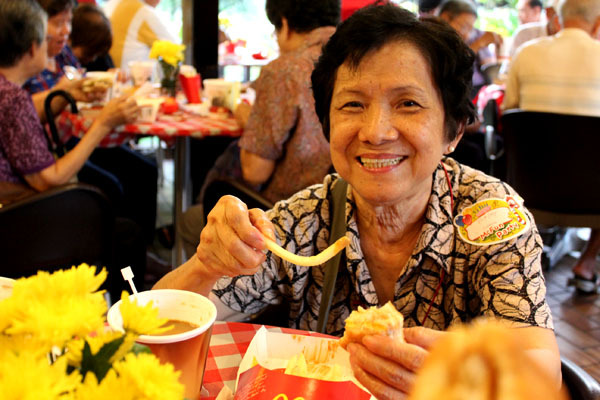 She kept laughing as she was having her fillet-o-fish, and I asked what made her so happy. Then I saw Auntie Chen requesting for a plastic bag, later packing her uneaten pack of fries. And I asked why did she not finish up her food, since she seemed to enjoy the indulgence. And she said, “Gei Wo De Sun Zi.” To them, their grandchildren always come before them. But how much do we ‘rank’ our own grandparents? 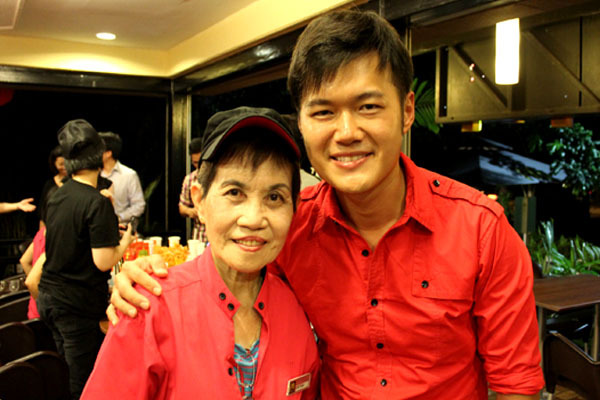 Auntie Siew Ping, at age 72, is still a staff at McDonalds. Her energy is bountiful, clapping away and singing songs to cheer the group up. She would jokingly ask people to guess her age – and she would reveal 22. I asked her why she was still working as she could stay at home to enjoy life. 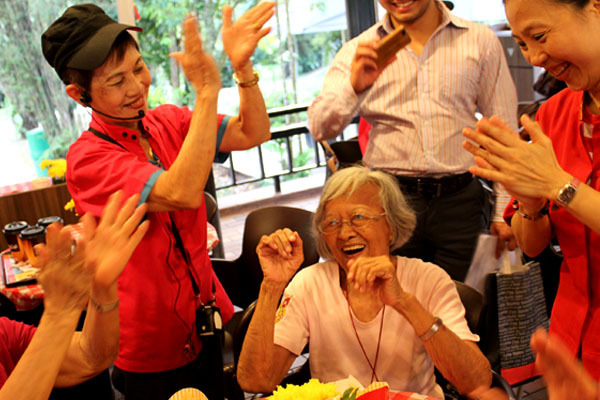 She herself was full of joy volunteering for the other senior citizens, because she wanted them to feel that if she could be happy with life, they could be as well. After speaking to me, she immediately went off to clear the tables and continue to speak to the rest. She made me realise that it was not about how much we have, but how much we treasure what we have. Really, what is there in life to be so unhappy about? McDonald’s will be sharing the gift of prosperity by donating 10 cents from the sale of each Prosperity Feast Meal and Prosperity Extra Value Meal. All proceeds will go towards the Movement for the Intellectually Disabled of Singapore (MINDS) where it will be used to help needy families with children with intellectual disability.